Time to expand your eBook Library and get ready for Microsoft's Director of Sales Excellence's Eric Ligman's Microsoft Multi-Million eBook Giveaway. Read on as this article might bring some tears of joy on your face. Forget about those networking scam that forces you to buy their stupid eBooks when you can get the real deal. If you want 'em eBooks that covers popular geek topics like Azure, Cloud, Dynamics CRM, Exchange Server, Office 2013, Office 2016, Office 365, Power BI, PowerShell, SharePoint 2013, SharePoint 2016, SQL Server, System Center, Windows 8.1, Windows 10, and more Microsoft nerd stuff - you've come to the right place. If you're a real IT, or a poser IT, or an IT wannabe, or someone who wants to take a career path in the IT industry - you need to have these titles at your disposal. However, IT references can be pretty expensive. Worry no more, TNTTS will point you to the right direction. If you want to get 'em all eBooks that bad like Pokemon Hunters wants to catch all of 'em Pocket Monsters, you may want to go to the url shown below. It has a text file that shows you all the urls where you can get these plethora of titles! Now that you have quite a number of great titles from Microsoft Press, give yourself some time so you can read them. Learn from these references. Who knows, you might just become a real IT guy one day. Enjoy. The availability of these eBooks will depend on how long Microsoft wants to keep them for free. 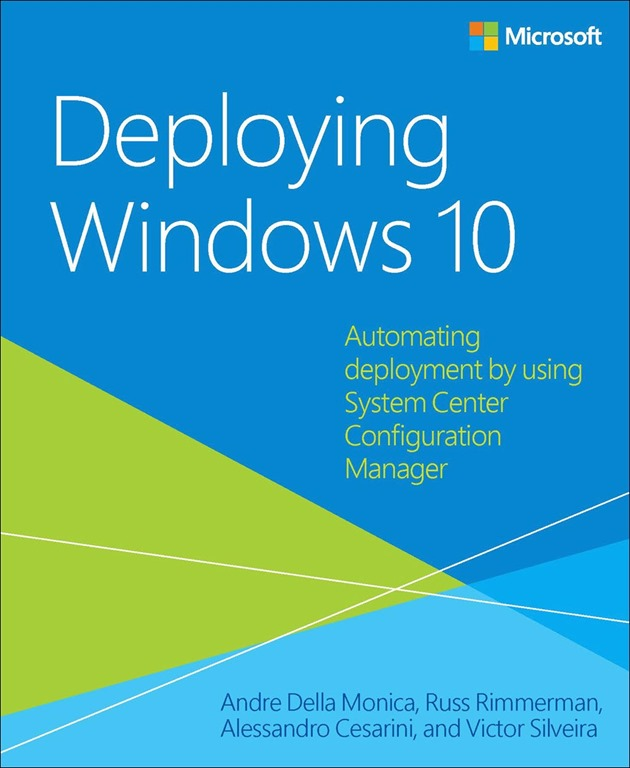 Deploying Windows 10 book cover image is owned by Microsoft. This is the savior for people like us who can not afford to buy books in paper :D Thanks! I love books and reading them. It's always a good deal when you can get free e-books. ;) Never been a techy person and have zero knowledge on automation, but my fiance is. Best to share this to him! My laptop hasn't been upgraded for ages! I've heard feedbacks from friends about their experience when they upgraded to Windows 10. For someone like me who isn't techie.. kinda scary! WOWW!No to PIRACY and illegal downloads. This would definitely be a good giveaway. Will share this to my followers and friends. Wow what a great giveaway!! I will definitely share this to my friends. I would love to join this giveaway. The one giving away these ebooks is no other than Microsoft's Director of Sales Excellence's Eric Ligman.